Small bedrooms are great. They're intimate, cozy, and you never have to wonder, "What should I put in that empty corner?" However, you can quickly run out of space in a tiny bedroom if you don't plan accordingly. 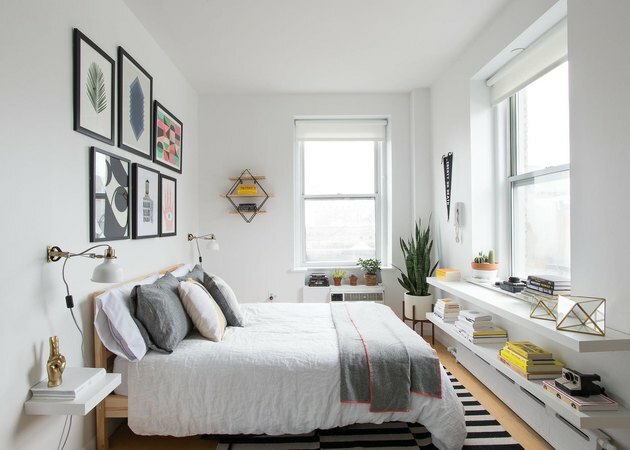 Luckily, there are many ways to increase storage in a small bedroom if you find pieces that multitask, are handy with DIYs, and know a thing or two about mounting shelves on walls. Here are 12 ways to create more storage space in a small bedroom. 1. Find a headboard that multitasks. Think of ways to turn items that would normally only function as decor into additional spaces for storage. For example, this headboard <ahref="https: www.hunker.com="" 12564080="" headboard-measurements"=""> </ahref="https:>doubles <ahref="https: www.hunker.com="" 12564080="" headboard-measurements"=""> </ahref="https:>as a small shelving unit, creating space for books, candles, or plants in an area that would ordinarily take up a lot of wall space and provide zero storage. 2. Find a bed with storage. Consider investing in a platform bed that comes with built-in storage, like this one from West Elm ( $959 ) that features a pull out drawer the size of the mattress. 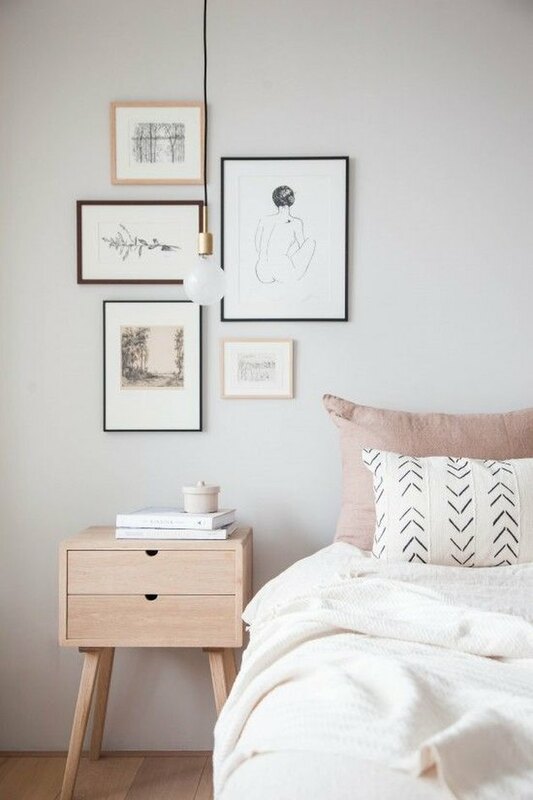 If you don't want to splurge on a frame with storage, you can also adjust the height of a regular bed using risers, which will lift the bed a few inches off the ground to allow you to store whatever you need below. 3. Make your own wall shelves. 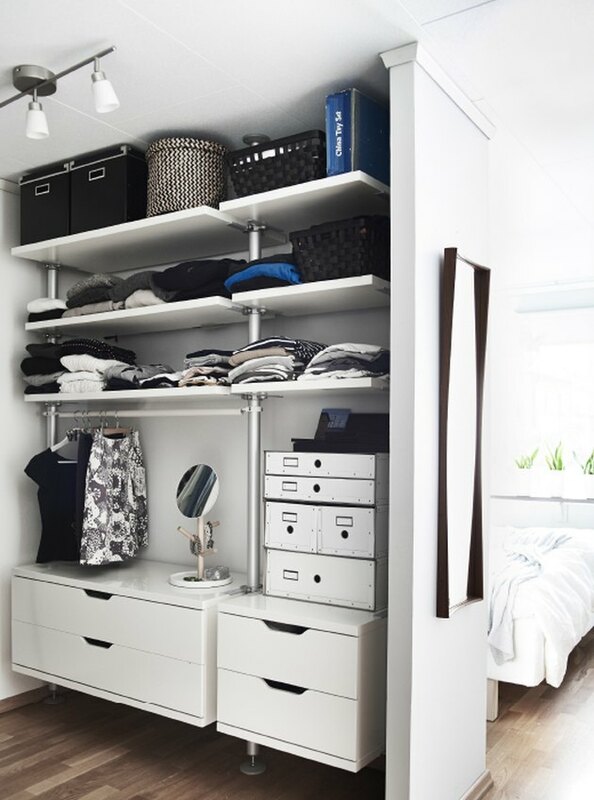 People often overlook the fact that their bedroom walls can provide significant storage space. Consider making shelves that you can hang along the full height or the full length of your walls. This room features two long shelves installed underneath the window — an often underutilized space. Fabricating your own shelving allows you the freedom to control the size and dimensions, ensuring you have shelves that work best for your bedroom. 4. Utilize every inch of wall space. In a small bedroom, the walls are your best friend. 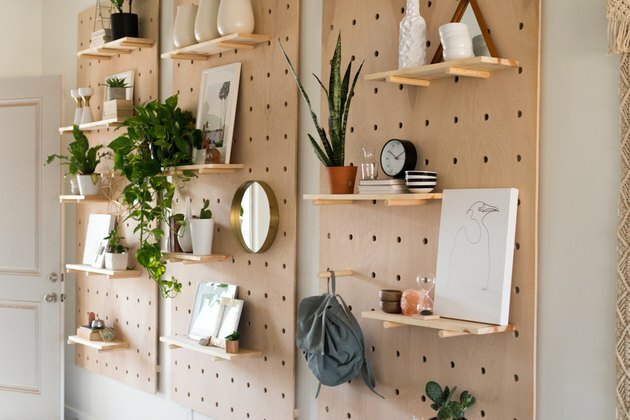 Whether you're adding shelves, attaching a rack, or creating a peg board like the one above, take advantage of every square inch of the walls for your storage needs. Sometimes the key to creating more space is by rethinking the space you've already got. Try a closet organization system (like the Pax system from Ikea), or a more affordable DIY (but still highly organized) option like this one suggested by A Beautiful Mess. 6. Buy a storage bench. 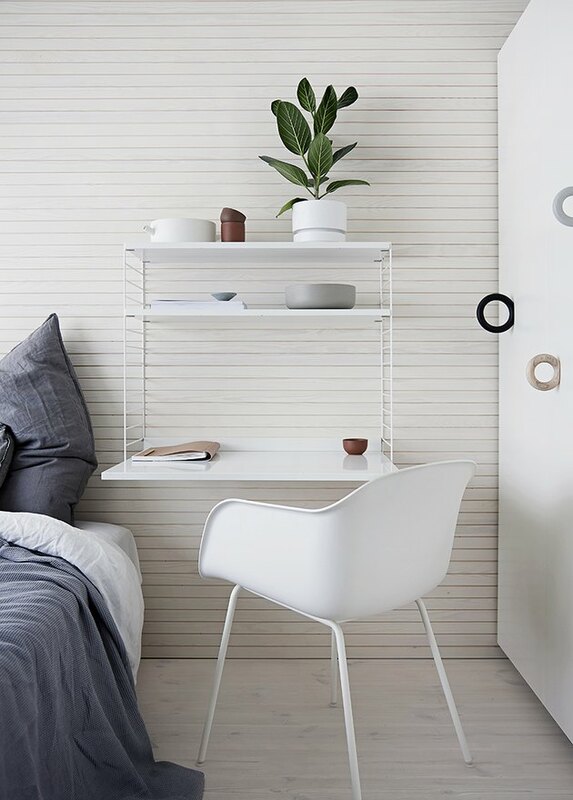 If you're keen on having a bench at the foot of your bed, make sure that this seating area does double duty by investing in one with storage capabilities. This storage bench from Bed Bath & Beyond ( $199.99 ) is classy and sturdy with plenty of interior space for storing blankets, towels, or books. 7. Find nightstands with storage. What is a bed without a nightstand? Make your nightstand work for you by selecting bedside tables with one or more drawers and perhaps even a shelf below. 8. Go for multi-purpose items. The key to finding more storage in your bedroom is to use items that serve more than one purpose. This Ikea mirror ( $59.99 ) features pegs and a small shelf, making it the perfect vanity and coat rack all in one. 9. Try this Ikea bed hack. 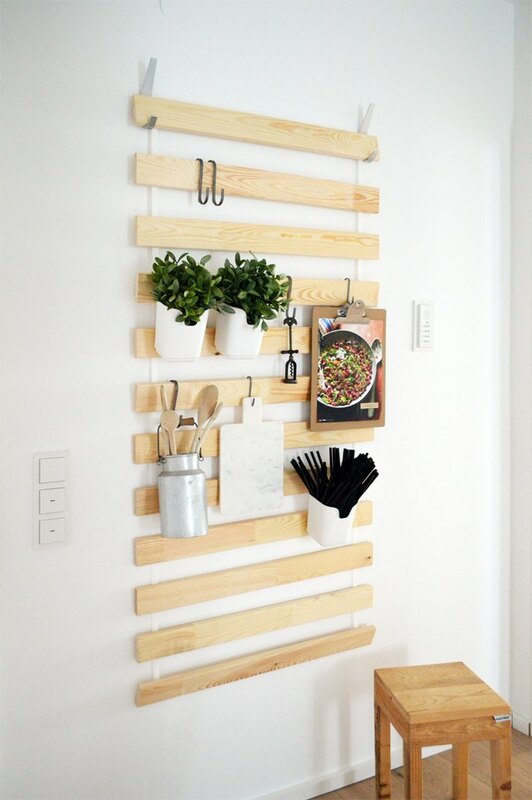 This Ikea hack features a twin-sized Luroy slatted bed base hung on the wall as a rack. Use S-hooks to hang bulky items or simply drape magazines and notebooks over the edges of the slats. 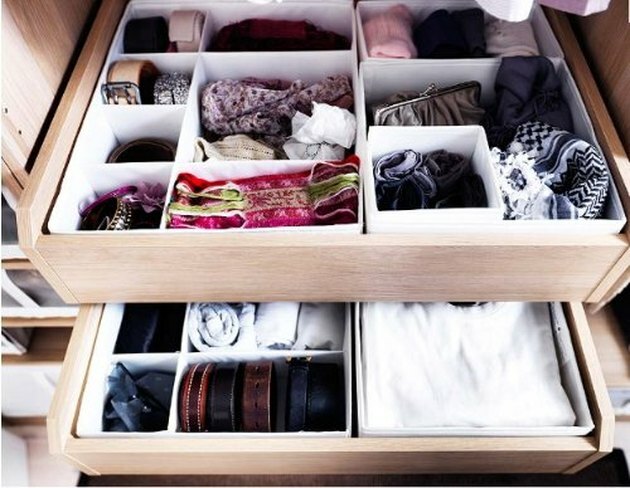 Not only will a dresser organizer help keep you and your socks well organized, but it will also free up space that would otherwise go unused if you fill your dresser freehand. 11. Wall-mount a tiny desk. If your bedroom is also your office, save space by mounting your desk to the wall. A floating desk is perfect for a minimal aesthetic and saves space in a way that a traditional desk can't. 12. Don't forget the doors. If you've maxed out the walls and storage capabilities of every other piece of furniture in your room, don't forget, you still have the doors. Over-the-door racks, organizers, and shoe cubbies are all great ways to create storage in an area that is often taken for granted. The hanging shoe rack above is from The Container Store ( $19.99 ).